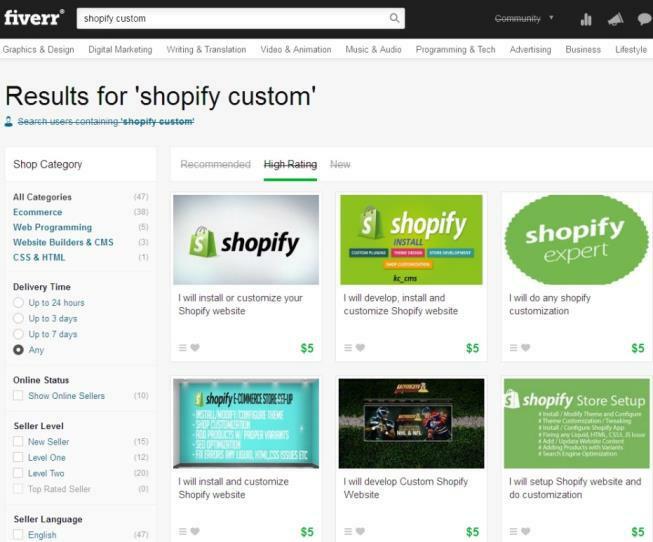 If you’re familiar with the ‘IM’ area or bought too many products out there , you can tell me even better, that most of the Info products vendors are releasing crappy/very good products about building and profiting from ecommerce stores – Using ‘’Shopify’’. Why don’t we leverage this fact guys? 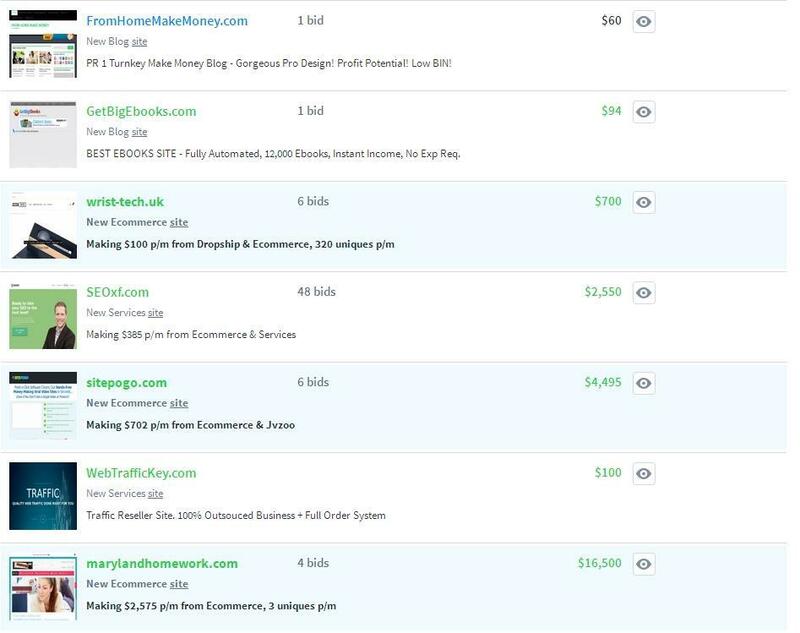 Why not doing the minimum of the minimum and build 2 hour Shopify store (after finding killing domain – now you have the knowledge to do that) and sell it for Minimum 3000% ROI? BOOM!!!!! I hope you see the potential here… And this training here is all about that! Stores in depth, but with another professional angle. The angle of a Big Online Asset Flipper! 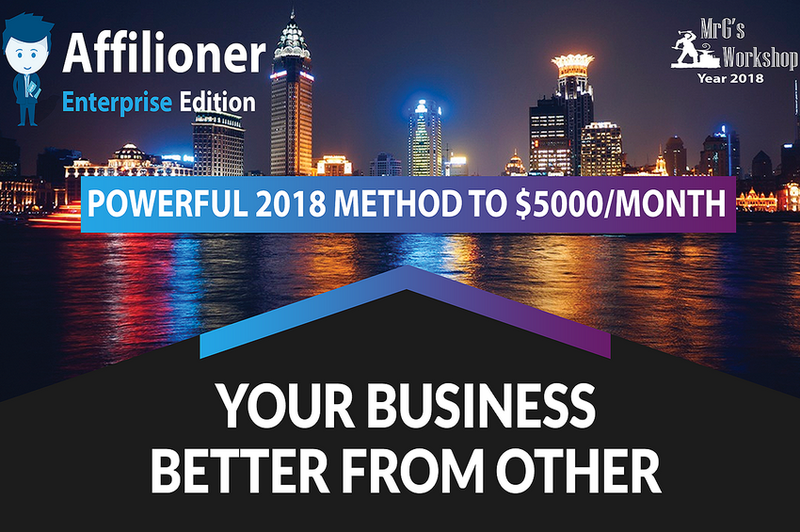 This is why I love the Flipping business rather than building an ecommerce store and generating traffic, and tricks to sell 5$ products, and see if it’ll work… Here you’re going with much wider angle and make much bigger sales… and really giving value to real business owners who don’t have the time or the knowledge! OK. Enough talking… Let’s Start! Here we’re going to research for not only very HOT and Trendy Best seller products, but HOT and TRENDY Ecommerce sites who were sold for Big Money too. And here you’re going to learn exactly how to find them…. When we’re talking about building Ecommerce sites(No matter if it’s as a store owner / just for selling it as an asset – as we do), you need to use the big ones as part of your research. And as you already know E-bay is one of the biggest Ecommerce Platforms out there, so researching for ‘’best sellers’’ there is a must! Very powerful tool for this kind of research. There’re even people who are using this source to research for new trendy products they didn’t think about, for their general shopify store. Use it guys! I already talked about this very powerful source. Very powerful tool to use when dealing with physical products/trends. 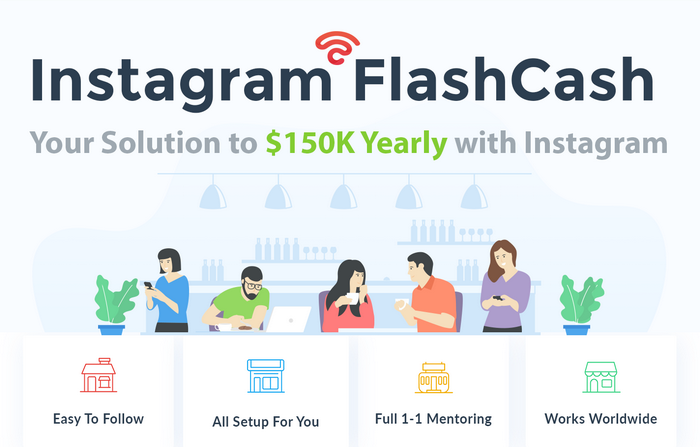 You can find a lot of new technologies and trendy products trending right now in the world – why not using this fact to build some great ecommerce store and even post the Trend hunter post you got your inspiration from – into your website sales page! Look for potential trendy ecommerce niche. Just research with an open mind. And if you want – check the findings in google trends, to see how developed the niche is, or maybe you’ll find out it’s not so good for you. You have to use this platform! 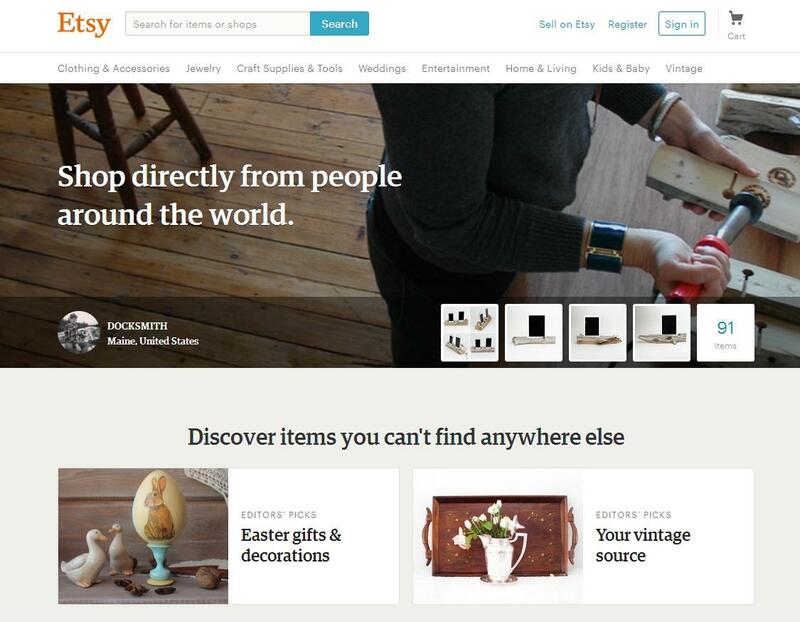 Etsy has more than 1.6 million sellers, and 24 million buyers. This is a very good source for your research because they have countless niches you can get ideas from! PERFECT! 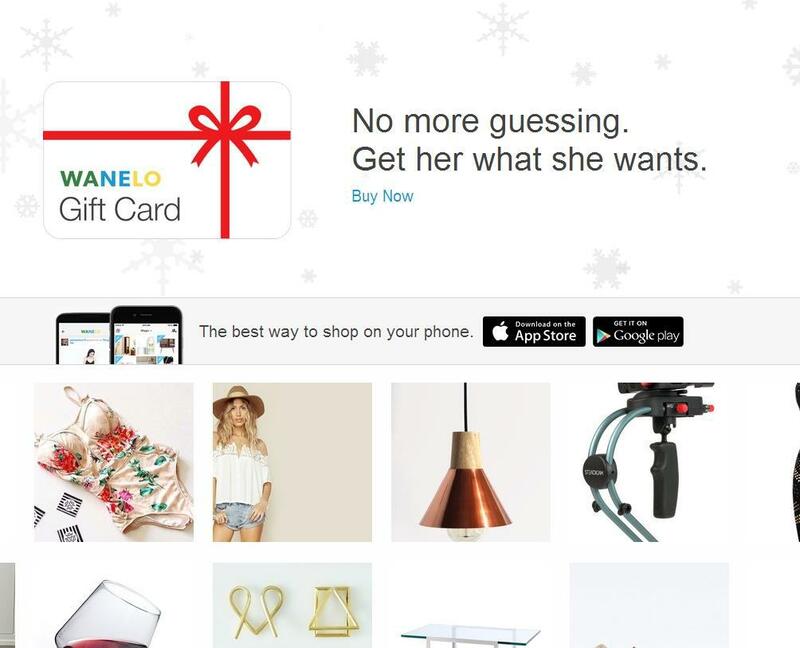 ‘’Wanelo’’ has more than 30 million listed products, and more than 500,000 Unique Stores. Very good source for your research with countless niches/micro niches you can think about! Very powerful source to pick not only websites ideas, but domain ideas. 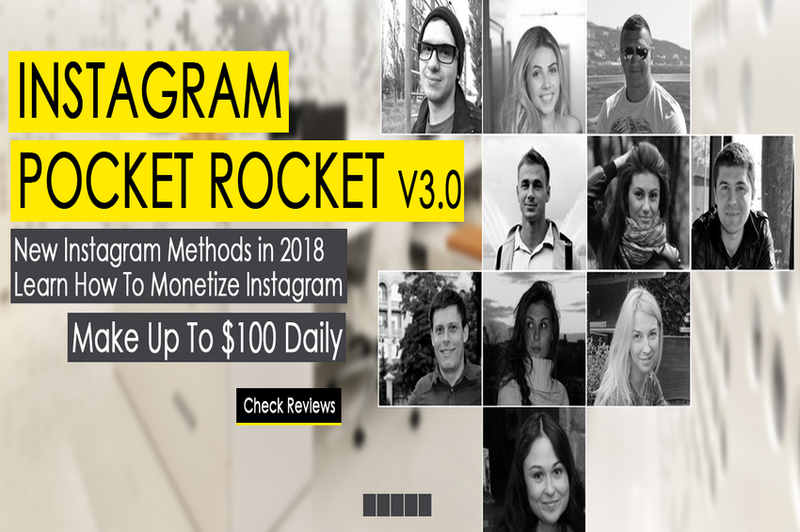 Instagram… I hope you know that… You can see a lot of creative products/niches there, and it can be very powerful for your research! Aliexpress is really my favorite Ecommerce platform, I’m buying a lot of goods from there. 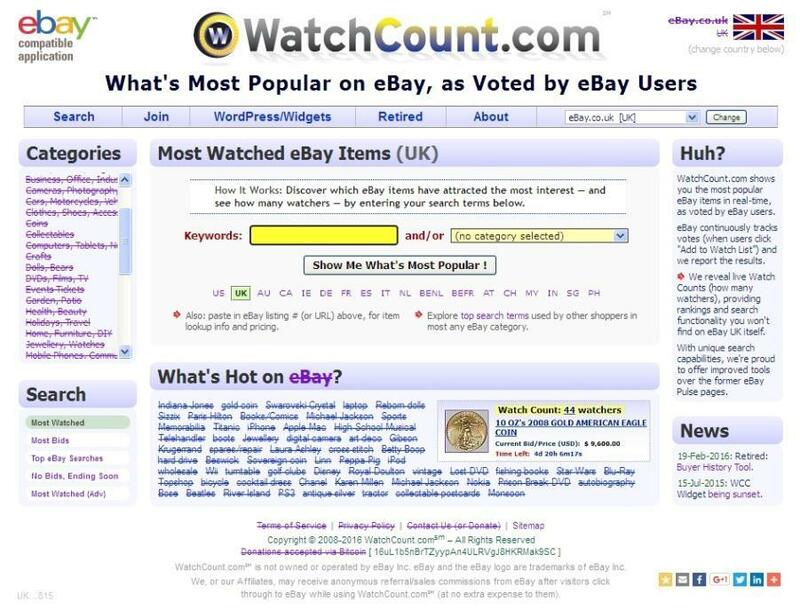 When you’re researching do it in the same concept as ‘amazon best sellers’ and ‘ebay (watchcount)’. 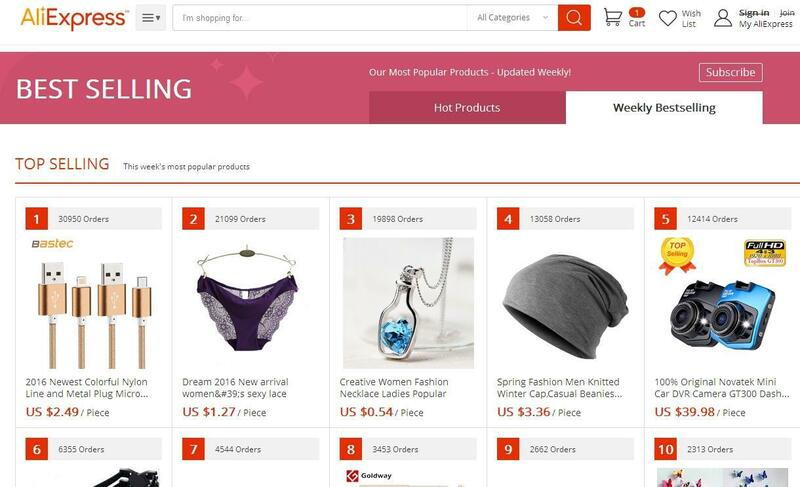 ‘’Aliexpress’’ is breaking the market (one of the reasons I prefer flipping online assets and not creating ecommerce sites with all this shipping problems and the fact that ‘’aliexpress’’ is the cheapest). Most of the people I know are ordering from aliexpress/china. It’s perfect for our research. 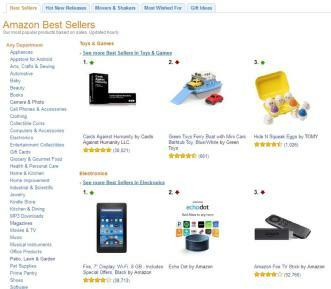 Amazon is one of the biggest Ecommerce platforms out there for physical product. And the best sellers section is the perfect source for us. 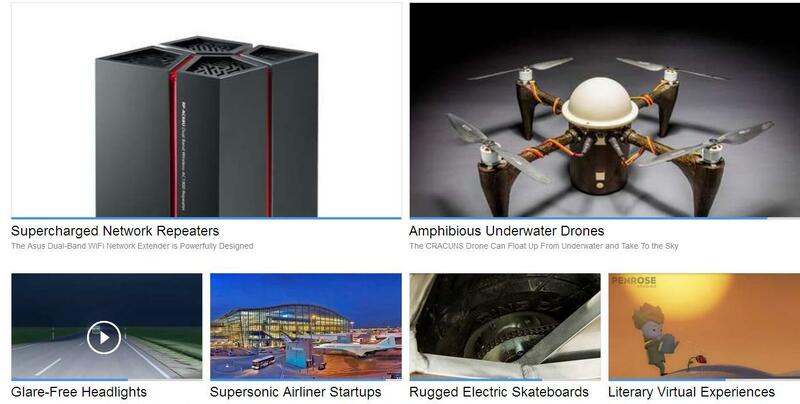 The research is no different from the Ebay’s Best sellers and Aliexpress… Have fun ! Here you can see ‘FLIPPA’ as example, but you can go to the selling platforms you learned about, and get some ideas from there. I’ll tell you right now… you can skip all the previous sources and use only this source to make decisions about what Ecommerce site to build. Why playing the guessing game if you can just see what the marketplace is looking for. Just pick even a lot better domain name and sell it! 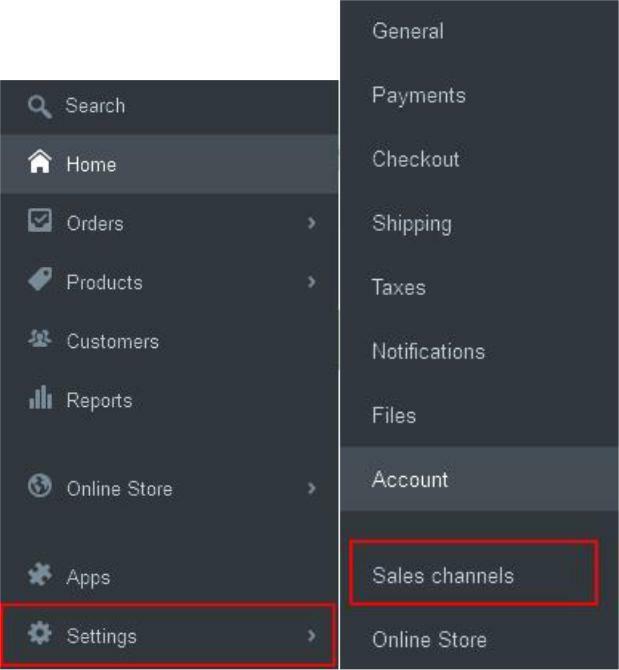 You can even use the role model in your sales page ‘by showing ‘’similar Ecommerce site sale’. You have a role model, now you need similar domain. Just use the name of the domain or the root name to find similar domain with the sources you’re about to learn. You know what is your niche, but you don’t know what to aim for. Here it’s little bit complex. Here you need to brainstorm/find related keywords to that niche. To use this tool – You’ll need a gmail and adwords account. Very easy to set up. 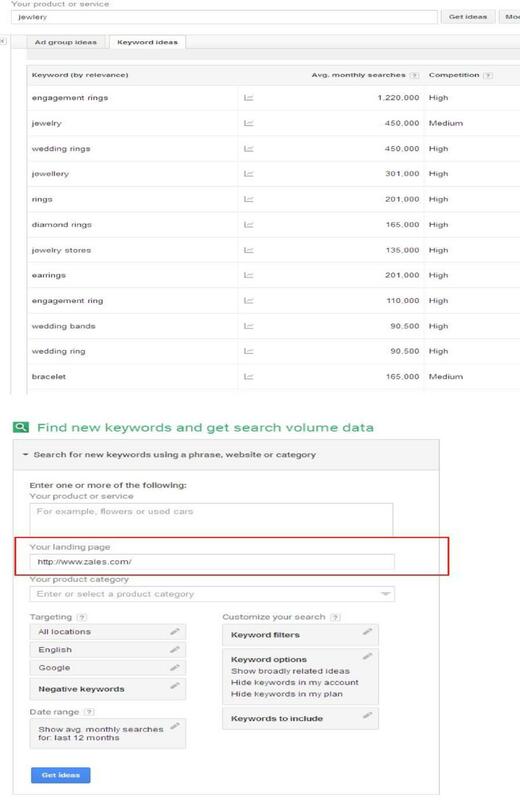 Now you have a lot of related keywords… Use them and check if they’re available (go with 1-3 words maximum). 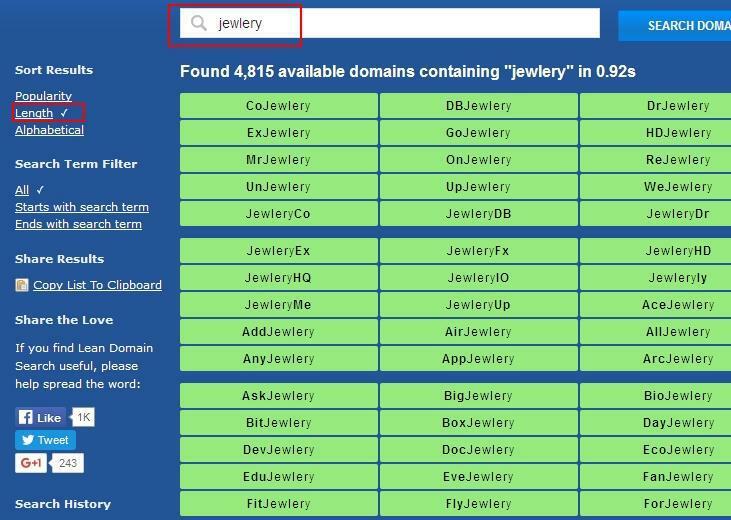 I already talked about this source in the ‘’Main Course’’ as my secret gun, and it really is… If we’ll continue with the example (‘’Jewelry’’), you can see a lot of good available domains. Here you’ll find more catchy domain names (which I really like) that nobody really thought about. Just use it and you’ll be shocked a lot of times on how you didn’t think about this name! Here you can use it either when you don’t have any role model domain or you have. POWERFUL! I talked about this secret ADVANCED source in the ‘’ADVANCED’’ training. If you didn’t get it – you should. You’ll have daily updated dropped/available already appraised domains to browse and look for similar to your role model domain, or if you don’t have any. It’s just a perfect source! Use it! In 1 day you can get more than 90,000 domains. Just go to the excel spread sheets and use the search option ((Ctrl + f) to find root keyword domains/role model domains. I’m talking about it in the ‘’Advanced Training’’. If you searched very well and didn’t find any good (in your standard) domain and you really think it’s a goldmine – Go to all the marketplaces you learned about in the main training and buy a good domain for premium price… Or maybe you’ll win a domain on auction for really funny price (takes time). So until now – you got the idea, you got the domain, now it’s the time to Sign Up To Shopify and Complete the Basic Configurations + Pick a Theme. 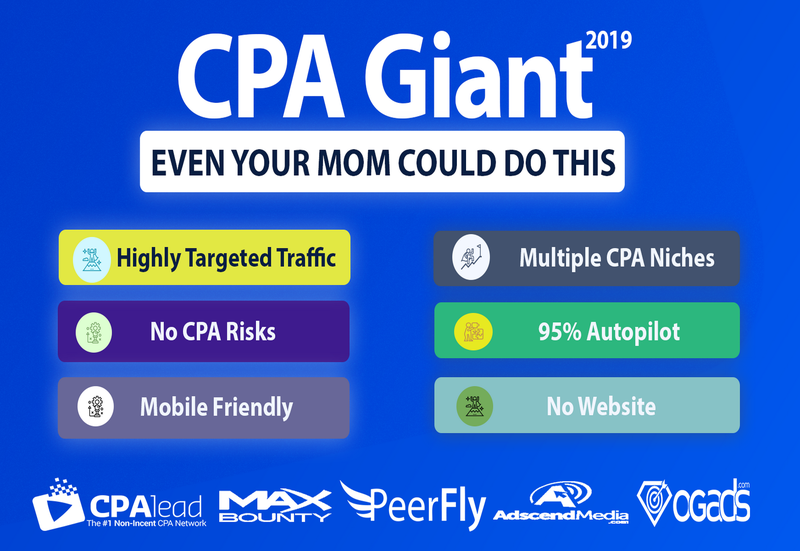 Until now you got some serious sources to get the best ideas for a killer domain… You’ll even not get it in the biggest Ecommerce info products/trainings out there… you could pay more than 3 figures to get this kind of information… I hope you see the power. Sign Up To Shopify And Complete The Basic Configurations + Pick A Theme ! This step should take you no more than 30 minutes (less – after getting more experience). And it considered as the hardest part. LOL! After signing up —-> go to your Home Dashboard Store. Very easy. Just go to ‘’settings’’ —-> ‘’online store’’ —> complete the blanks. Home page title: just fill out what you want people to see when searching ‘’youdomain’’. ‘’yourdomain.com’’ | The most unique selection of the finest leather items! Enjoy the sleek and rugged features of our artwork selection, all hand-made! Go to ‘’Settings’’ —-> ’’Sales Channels’’ and pay $20. And now it appears in the ‘’side bar’’… now you can connect your own domain name to the store… and pick your theme! 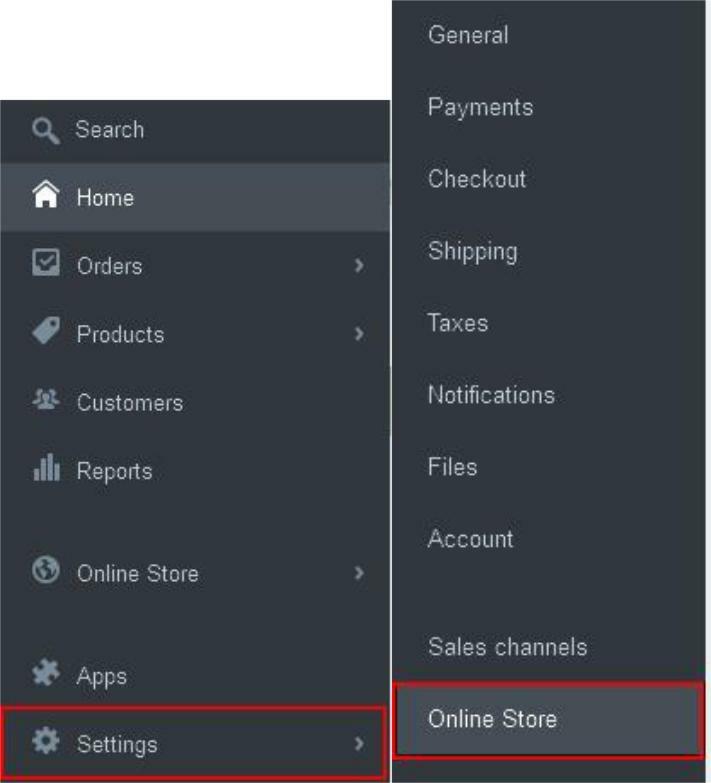 Go to ‘’CName (Allas)’’ section —-> on the ‘’WWW’’ – click the ‘’Edit Record’’ —-> change the POINTS TO – to ‘’ YourStoreName.myshopify.com’’ (you real shopify domain you got) — -> HOST: www —-> TTL: 1 hour. Save changes —-> go to shopify and claim your domain! If you have any problem with that – contact me. It’s very easy and it should take 6 minutes top (if you have experience: 2.5 minutes). 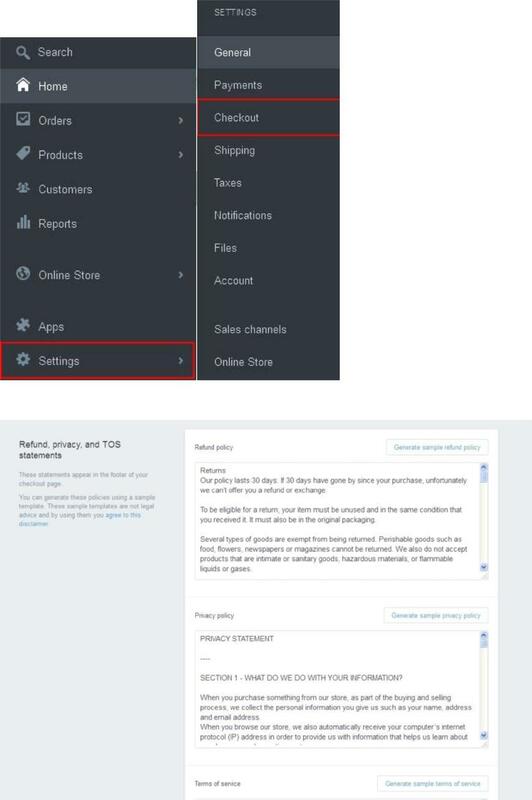 ‘’Themes’’ —–> ‘’Visit Theme Store’’ on the right top. 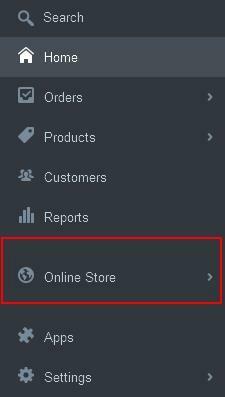 Now it’s the time to create some very important pages as basic configurations for any new shopify store. You don’t need to write anything… everything is automatic made for you. Now after copying everything provided for us – now go and create the pages. Refund Policy: Name the title as: ‘’Refund Policy’’ and paste what you copied from the ‘’Checkout’’ area. 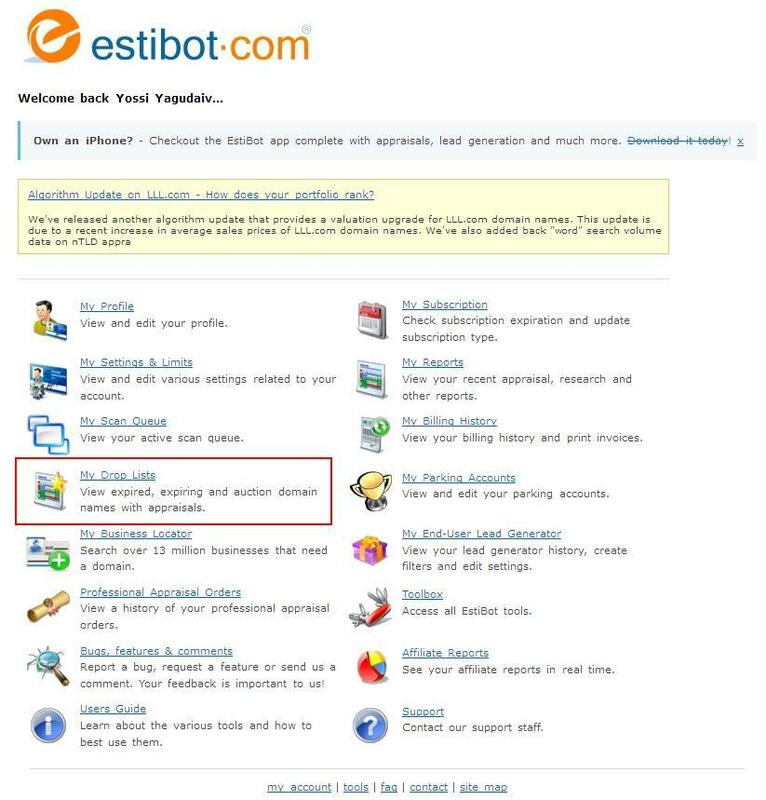 Terms of Service: Name the title as: ‘’Terms Of Service’’ and paste what you copied from the ‘’Checkout’’ area. NOTICE: In the biggest trainings out there about building Ecommerce stores they’re talking about a lot of cool helpful APPS. As you can see I didn’t mansion any of them! Why? Because it’s not our business model. Leave this work to your Buyer! You don’t need APPS to sell the Asset better or something like that. Just build the asset fast and sell it! Believe me – here with what you’re learning – you’re over delivering to the future buyer anyway! Now we got to the creative part… You have 2 options here: make it by yourself / use someone in fiverr to do it for $5. By yourself: In my opinion you shouldn’t do it. Think and work as entrepreneur, because these tasks can be boring, even if you have knowledge on how to make logos…. But if you really have time and you don’t really care – just search on google: logo templates to help you out. 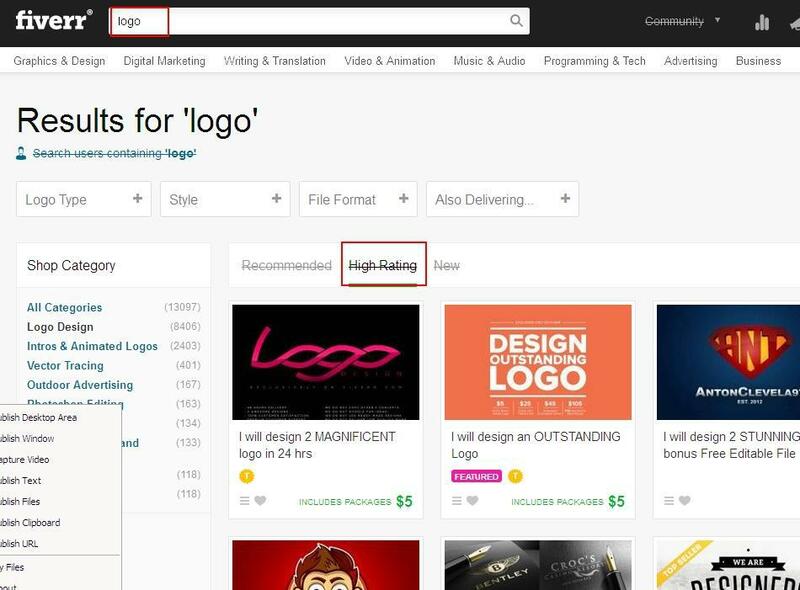 Go to https://www.fiverr.com and search for: ‘’logo’’ —-> choose the ‘’High Rating’’ Tab —-> send a gig request to 4 designers = go with the first you like. (My rule of thumb is: send to 4-8 —> the first to respond/have the best price on whatever task – he’ll get the job… sometimes I’ll use the price respond of 1 gig owner when talking about the price, with other gig owner – this is how I low my price – competition is the best. Customer who paid you 3-5 figures for the website/Asset. 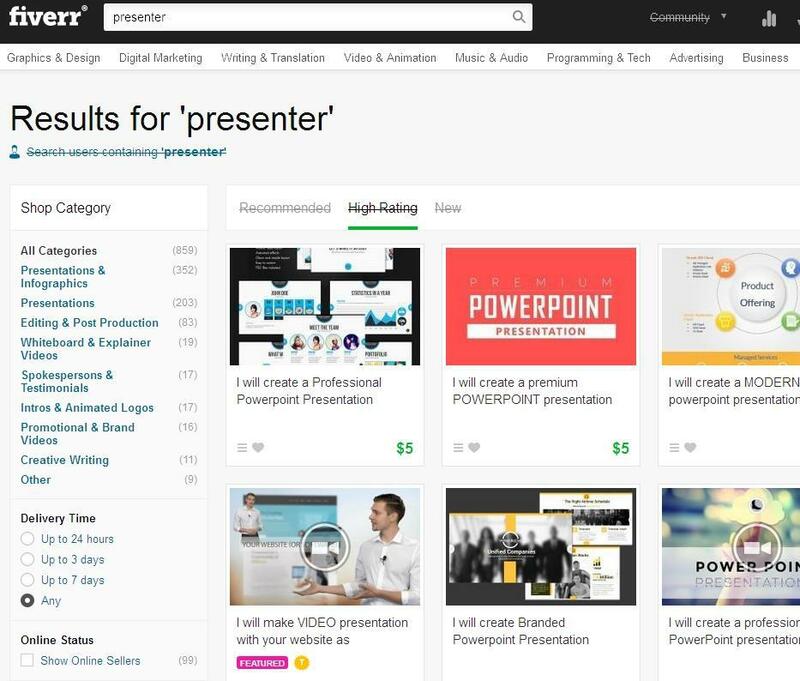 Go to Fiverr and search for: ‘’Presenter’’ —-> choose ‘’High Rating’’. Or you can use the search: ‘’Twins’’. You’ll find ‘’theadtwins’’… I’m using them a lot… You’ll pay something like 15$ for HD video + your logo there (important). Add the video to you ‘’ABOUT’’ page and make a graphics slideshow (more about it later…) with the image + play button. 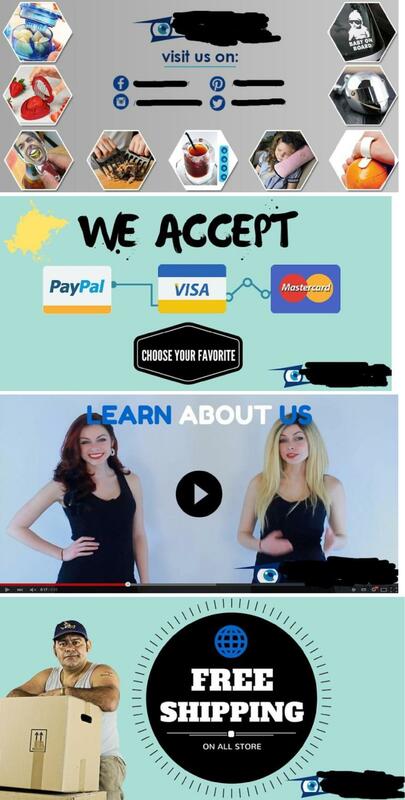 Redirect it to your ‘’ABOUT’’ page! I’m always uploading the products first, before even thinking about making changes and modifying the theme as I want it… That’s why we’re going to do that now. You have 2 options here – Do it by yourself / hire someone to do that for you. 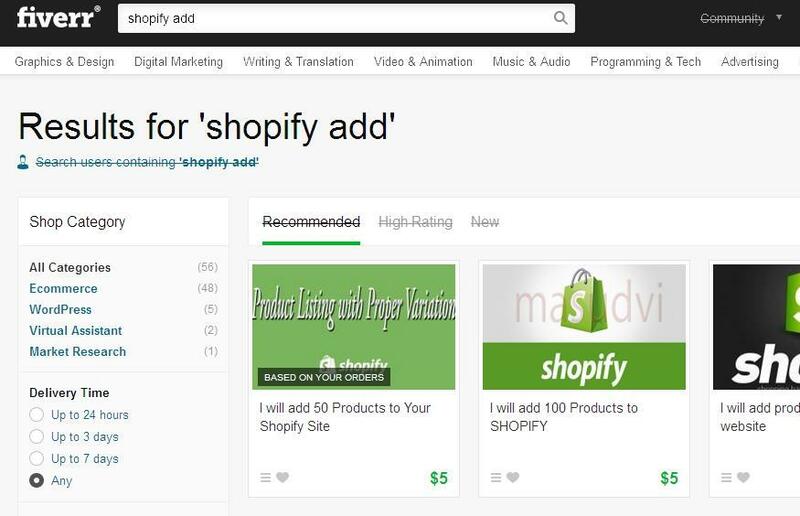 Go to fiverr and search: ‘’Shopify Add’’ —-> choose ‘’High Rating’’ —> send to 5 high rating gig owners. ‘’Account’’ —> ‘’Add A Staff Member’’ —-> send an invite to his mail). Personally, I spent a lot of money to learn all about shopify and how to make money with shopify and aliexpress, so I have a lot of experience with what you should have in your shopify stores to make the best sells… So everything I do – has a reason. And now it’s a standard for me when selling shopify stores to my customers. (VALUE VALUE VALUE)! 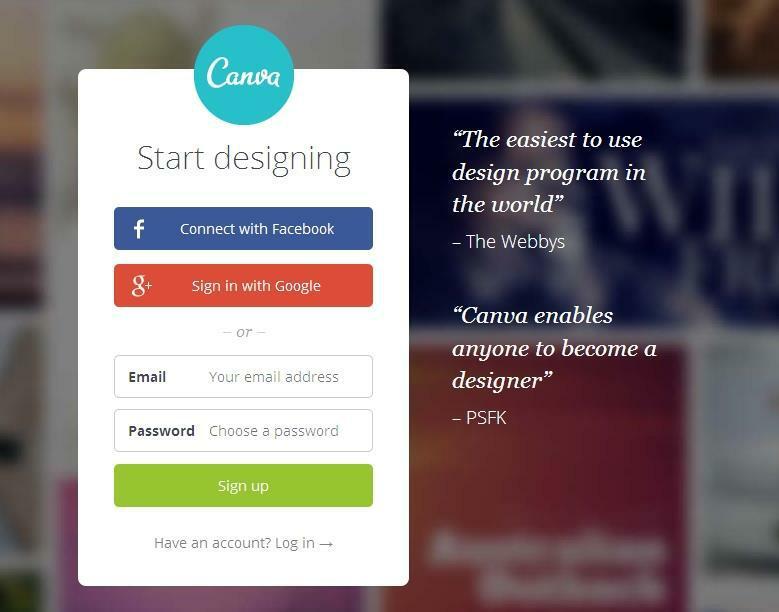 If your theme doesn’t have any slide shows – you should ask a designer to have one. It’s far more professional looking and looks better to your potential store buyers). 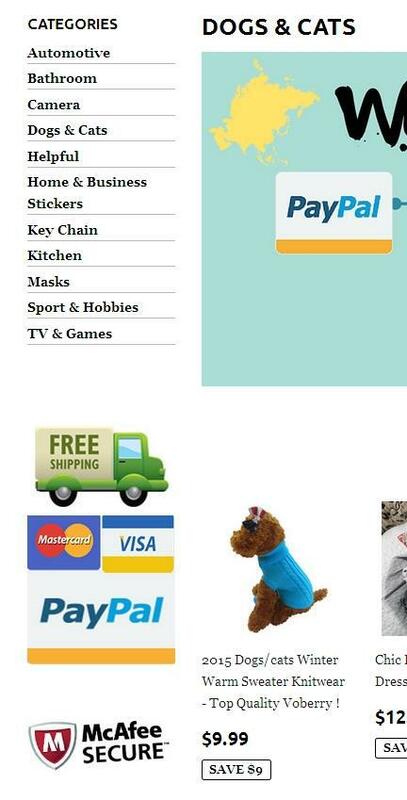 ‘’FREE SHIPPING ON ALL STORE’’ slide, ‘’LEARN ABOUT US’’ slide direct linking to ‘’ABOUT’’). You need the side bar more than the slideshows. It’s very important because there are 4 things all the buyers in the shop should see. You can get all this in the Members Area! —> send to 5 high rating gig owners. See what the price range is, and make decision. I’ll tell you that: Not all the shopify designers there are good. Some will ask you to buy a premium theme because it’s easier to modify (so as you can see they don’t have really good experience), and some of them so good, they can make you the best premium theme from zero… Just send them a massage before ordering! It designed to make your life easy. REALY! You can make here designs like the real big PROS, and you have the community you can take some ideas and inspiration from. VERY EASY! One of the things I didn’t do with my first Ecommerce site is to freeze it. 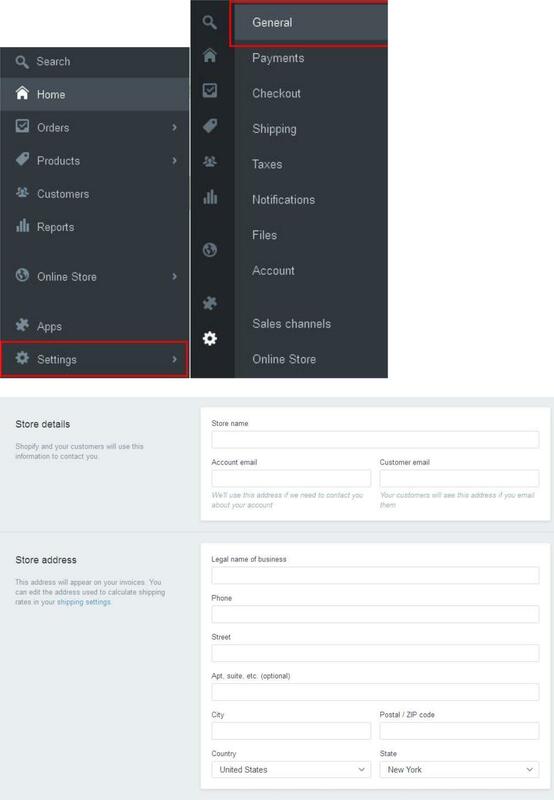 When you freeze your Shopify store, your customer won’t have the option to make a purchase through the checkout. But who cares? The only people you need for your site are Asset Buyers… Your only goal is to sell the Ecommerce store! OK. So you have all set-up… Now it’s the time to upload your asset for sale. I hope you’re excited! 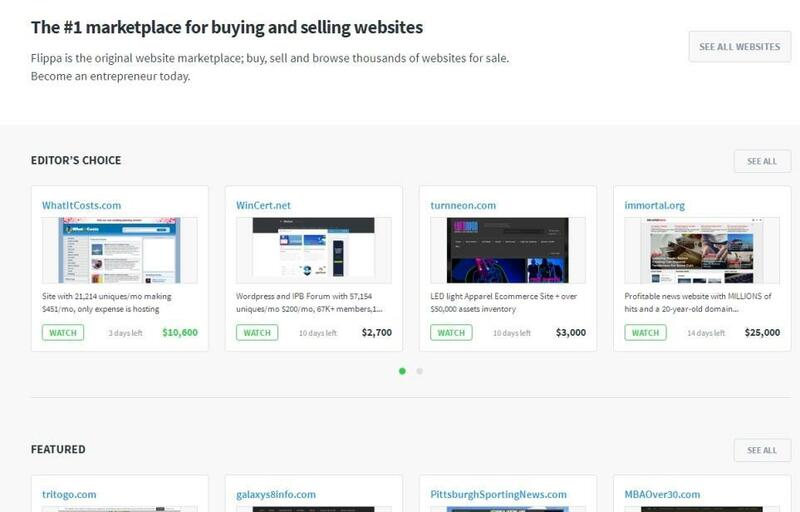 I already talked about ‘’FLIPPA’’ as a great source to buy and sell your domains on (In the main guide), Now it’s the time to use it for selling your websites! This is defiantly one of the biggest sources you can upload your site/asset to… Use it! 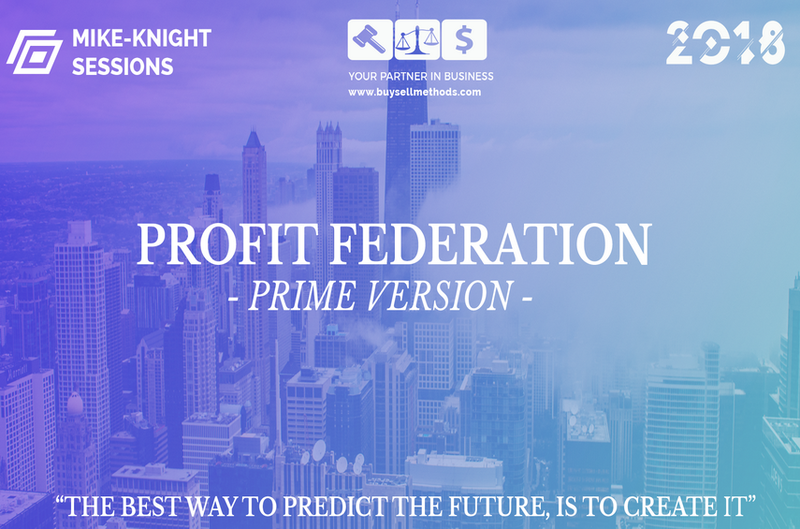 Here is a new platform I didn’t talk about… It’s so powerful! You don’t really need more than these platforms. 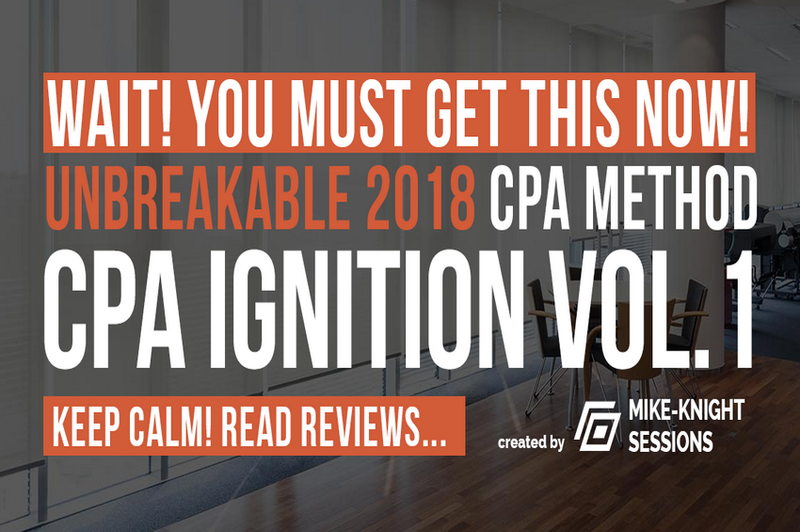 If you really want to find more leads – just go through what you learned in the main and the advance training! (Green button on the top right) —> starter sites —> choose: auction $9 —> Enter the URL of the website. 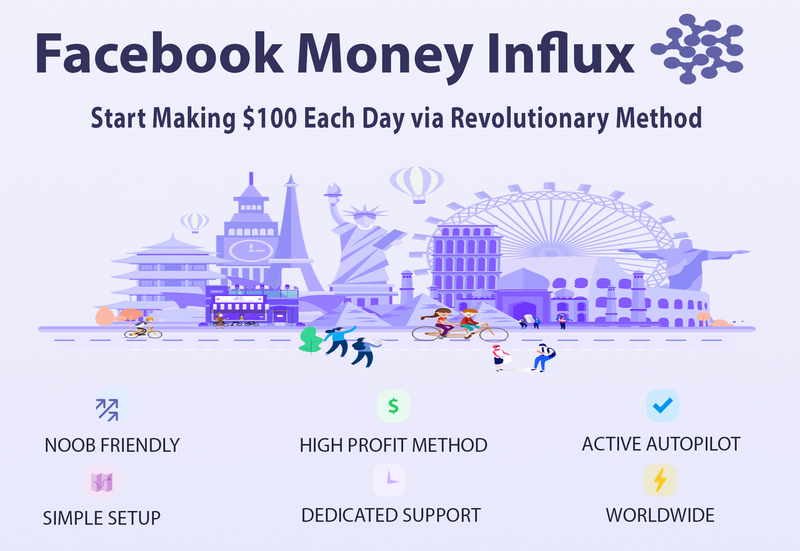 what they’re getting (And believe me – they’re getting a lot – not many people selling their ‘’starter sites’’ with so much value). That’s it… This is your description you need! Opening Bid: I usually Price it 500$ + (It’s not so high But not so low). My rule is minimum 3000% ROI. Auction Time: use 6-7 days… You can always change it (just not 4 hours before ending). 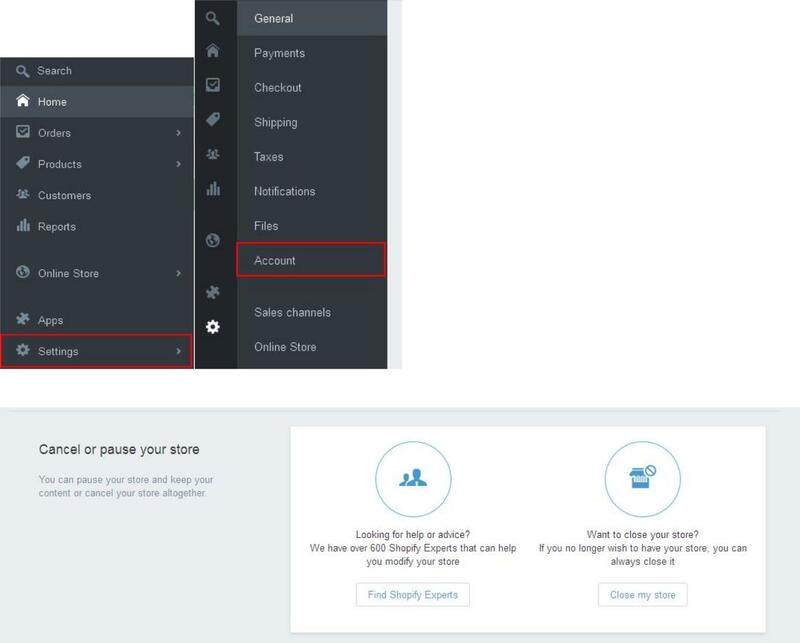 Send to the buyer’s email address the request to be a ‘’staff member’’ in the shopify store —-> Make him the account Owner. After transferring the domain(Now the domain is in his godaddy account) and making him the admin – he need to go to shopify (online store —> domains) and one more time define thestoredomain.com as the domain for this shop…YES… one more time (because you transferred the domain to his godaddy account… so it’s on his account now – not mine/yours). Facebook: Ask him to like the page first —-> go to facebook —-> as page – —> make him an admin. If the person is your Facebook friend/he liked the page, begin typing their name and select them from the list that appears. If the person isn’t your Facebook friend, type their email address. That’s it! You transferred the Asset to the customer. Go and think about the next project! 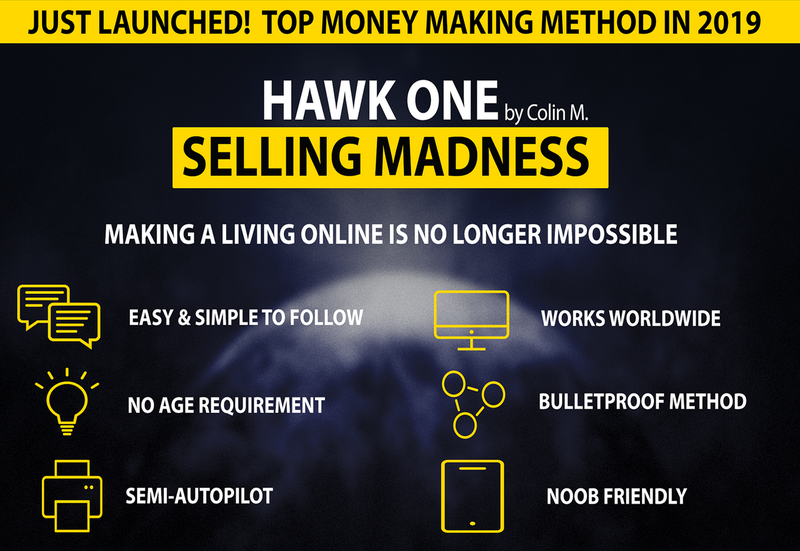 Let’s wrap this up for you to start taking action on this Ecommerce Flipping Formula Training! First of all I want to congratulate you for going through the Ecommerce Flipping Formula Training. I hope you see the power behind this huge income stream (1 of them, as an online Assets flipper). I hope you’ll take advantage of it! 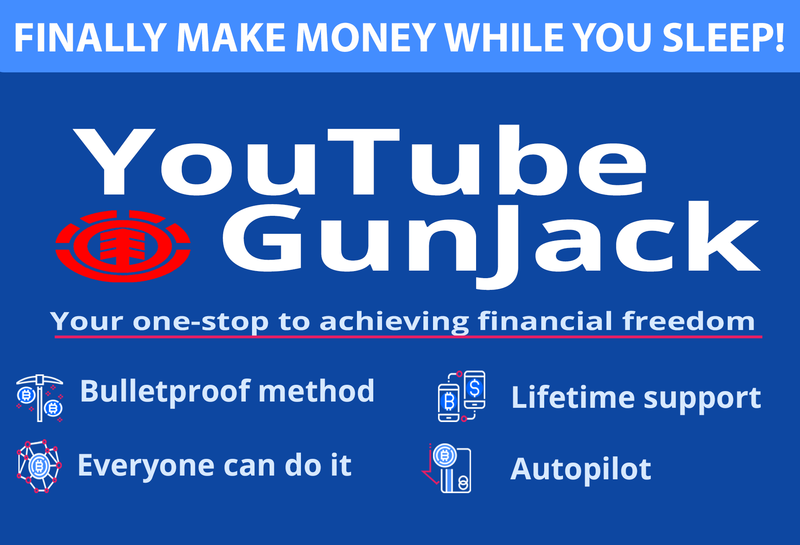 If you wanted to be able to make Minimum 3000% ROI on this business – This advanced formula/income stream is the right for you! I hope you see it. I tried to give you everything I know. If I’ll learn something new – You’re the first one to be updated… Believe me!